Waterways transport is an important part of life for many residents of Rakhine State, where seagoing vessels are replacing ferries designed to operate on rivers, including one ill-fated boat that sank with the loss of scores of lives. 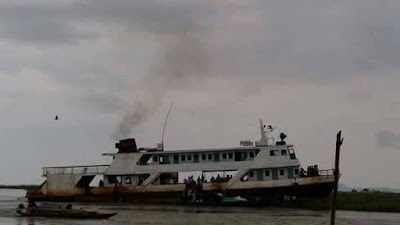 IN THE late afternoon on Friday March 13, 2015, an overloaded ferry carrying hundreds of passengers left Kyaukphyu on Rakhine State’s Ramree Island bound for Sittwe, about 110 kilometres (70 miles) away across the Bay of Bengal. The Aungdagon-3, a government-owned vessel more than 20 years old, was operating on a route linking the state capital with Taungup, from which it had departed the previous day. Soon after leaving Kyaukphyu the Inland Water Transport ferry began taking water through the bow. Passengers said that several hours out of Kyaukphyu, the Aungdagon-3 was taking so much water that all the men on board were trying to bail it out. At about 8pm, the sea became rougher and more water poured into the ferry. Within minutes, the Aungdagon-3 capsized. The government said the vessel was carrying 225 passengers but unofficial estimates suggest there were at least 300 people on board. Officials said 167 people were rescued but as the number of passengers has never been determined, the death toll from the tragedy remains unknown. “Many people died, but we do not know exactly how many,” Pyithu Hluttaw MP U Ba Shein (Arakan National Party, Kyaukphyu) told Frontier on November 29. Rakhine residents rely heavily on coastal and river ferries for transport because much of the state’s littoral areas are a maze of islands. Waterway travel offers a better alternative than roads in the poor, underdeveloped state. The tragedy focused attention on the seaworthiness and safety of IWT vessels plying Rakhine’s coastal and inland waterways, and prompted a review by the Union government. Ba Shein said vessels were in such a bad state that it was common for crews to keep a stash of cement on board so that any leaks could be patched up along the way. “Rakhine people know this waterway transport system is very dangerous but they still take it because they have no choice,” he said. Rakhine residents had complained for decades that the government was not doing enough to provide safe public transport in the state. The government review concurred, finding that of the 12 vessels in Rakhine, all had been in service for decades, and had been built to operate on inland waters and not on the sea. “Although these vessels are not so much a problem when plying in the rivers of Rakhine State, they are not capable of sailing in coastal areas,” Minister for Transport and Communications U Thant Sin Maung told the Hluttaw on May 2, 2016. He also said the ferries were nearly always overloaded with passengers and cargo, because crews rarely adhered to weight limits. After the tragedy the government was able to replace the ageing ferries with three new seaworthy vessels provided by Japan. But until they arrived, Rakhine residents instead had to rely on private boats, which are about five times more expensive. 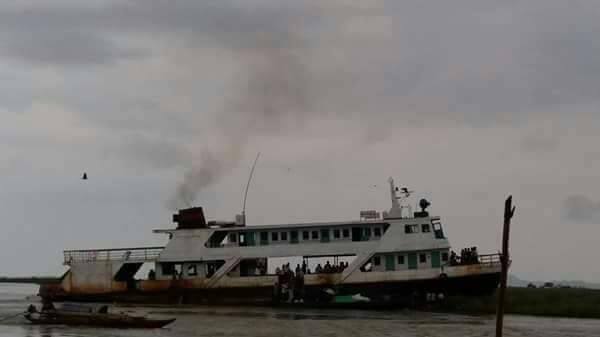 In March of this year, the first of the new ferries, the Kispanadi-1, began plying the Sittwe-Taunggok route served by the ill-fated Aungdagon-3. In July, the Kispanadi-2 began operations, while the Kispanadi-3 is expected to hit the waters in late 2018. Ko Win Kywe, 27, of Kyein Gyaung Vilage in Minbya Township, about 50km (30 miles) northeast of Sittwe, understands the dangers of Rakhine’s waterways well. In August, Win Kywe and two friends had a lucky escape when his motorised schooner capsized during a voyage at night as they were returning to Kyein Gyaung from Minbya. “The boat was hit by some big waves that we did not see in the darkness, but we were very lucky because it capsized close to the shore,” he told Frontier. Win Kywe, who lost valuables worth about K500,000 as well as the schooner, said he would continue travelling by boat because he had no choice. “It’s more dangerous in the rainy season but we have to take the risk,” he said. Win Kywe said there was no dispensary in the village and if someone became seriously ill they have to be taken by boat to a village on the other side of the Laymro River. U Hla Shwe from Laung Da Reik village in Myebon Township, said even for those who could swim, it was difficult to remain afloat if a boat capsized in rough seas.